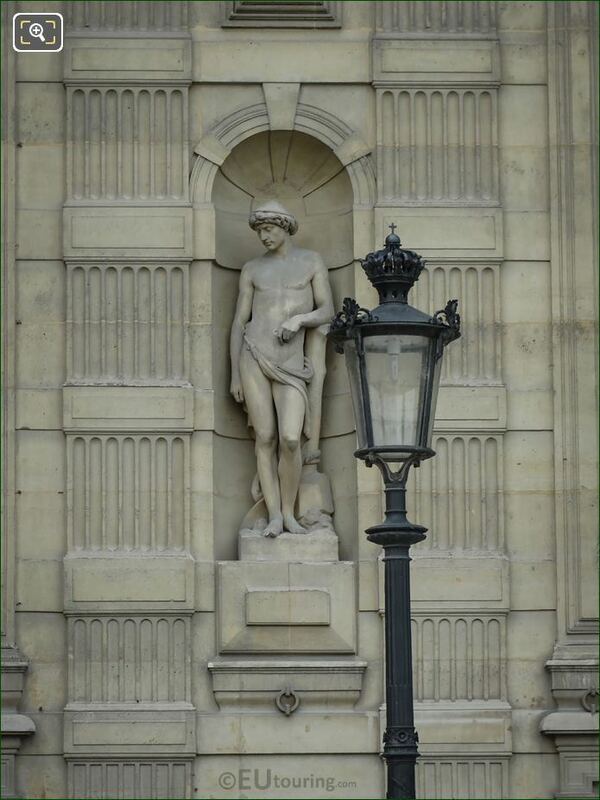 Again we were within the Cour du Carrousel of the Musee du Louvre in the 1st Arrondissement, when we took these high definition photos showing the statue called Le Laboureur, by Charles Francois Marie Iguel. 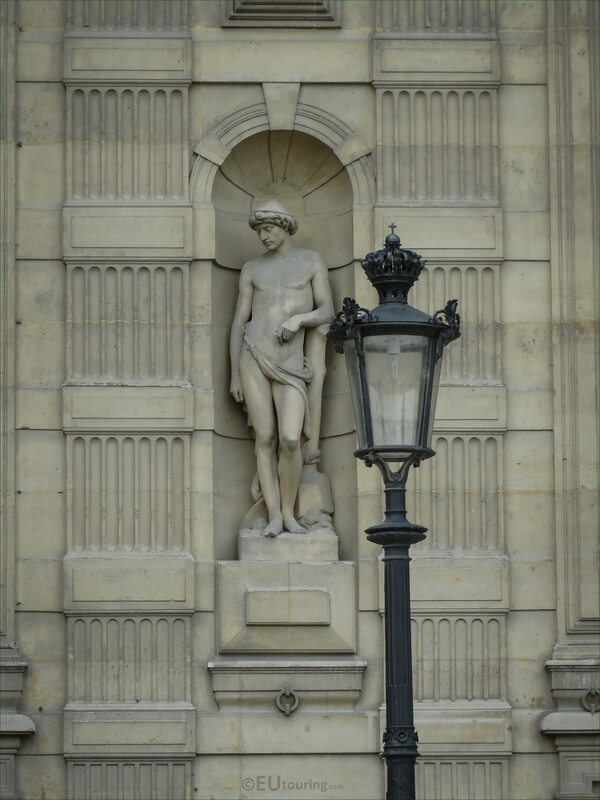 So this first image shows the statue called Le Laboureur, which is an allegory depicting a labourer, or unskilled manual worker, and this can be found on the Aile de Flore, and as you are looking at the facade of the former Palais du Louvre, it is positioned on the first level in a niche in between the windows, close to the entrance with the Lion statues. 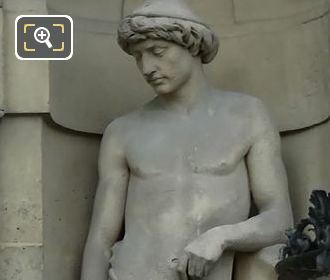 And this HD photo shows a closer view of Le Laboureur statue, which was produced by Charles Francois Marie Iguel, who was born in the January of 1827, and studied at the Ecole des Beaux Arts, becoming a French sculptor. 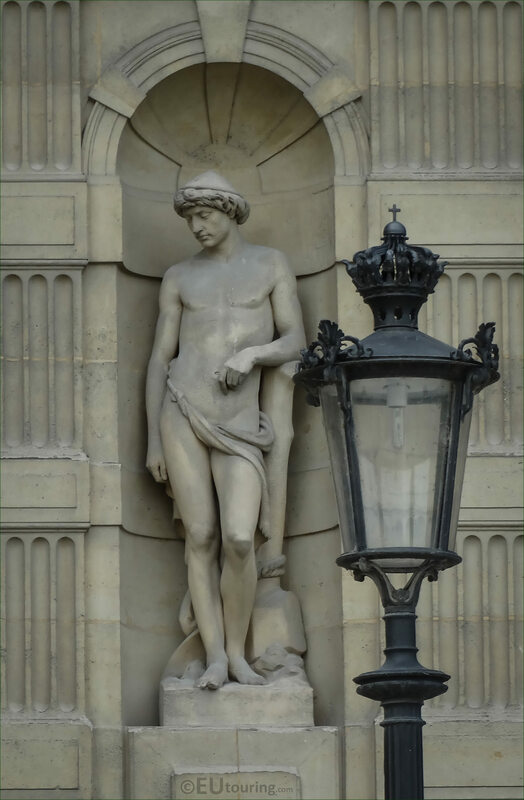 He produced numerous different statues that can be found on different tourist attractions and in museums throughout France, but spent several years in Geneva, which is where he passed away, but this particular allegory statue called The Labourer in English, was sculpted by Charles Iguel in 1866.